I am soaking up every last bit of sunshine while it lasts because the autumn equinox is less than a week away! This might be the last summer post, though there is no guarantee since California tends to surprise us with warm weather every so often. This past week especially has been hot hot hot! 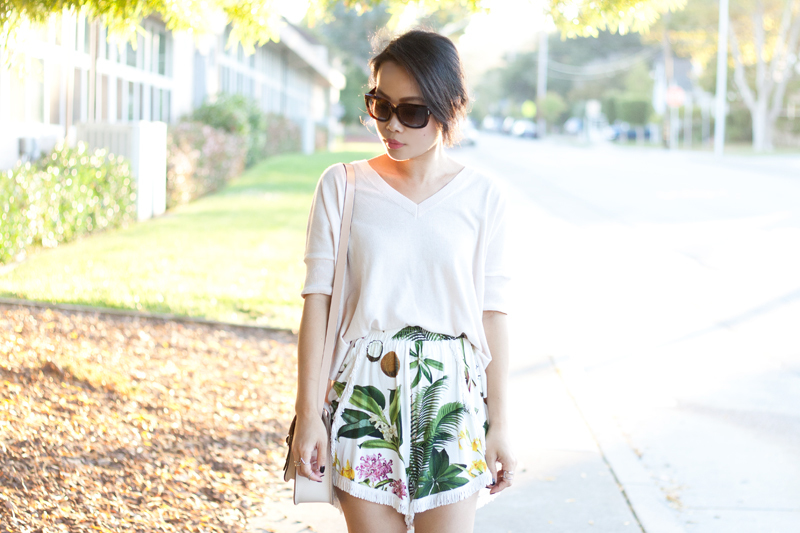 I find myself cooling off in airy combos such as this... awesome tropical print shorts, soft blush knit top, my new YSL glasses, and of course Birkenstock! 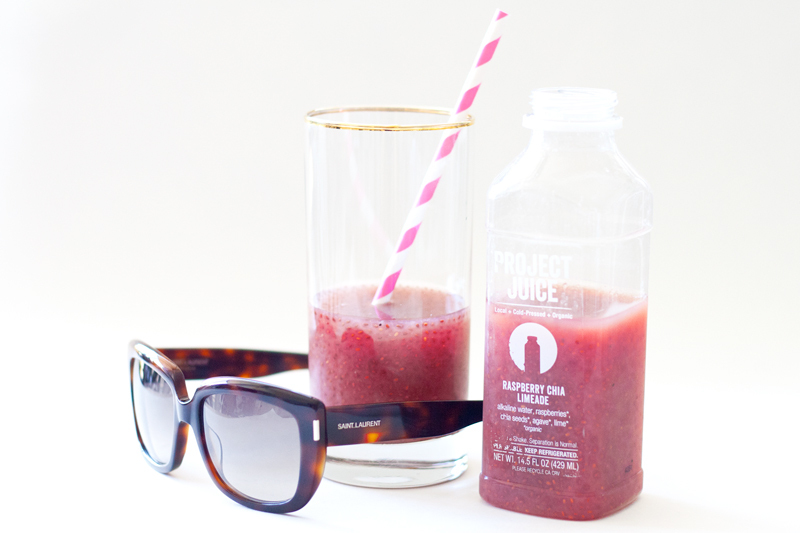 And I can't think of a better way to celebrate the end of summer than with some refreshing and delicious Project Juice! Cheers! 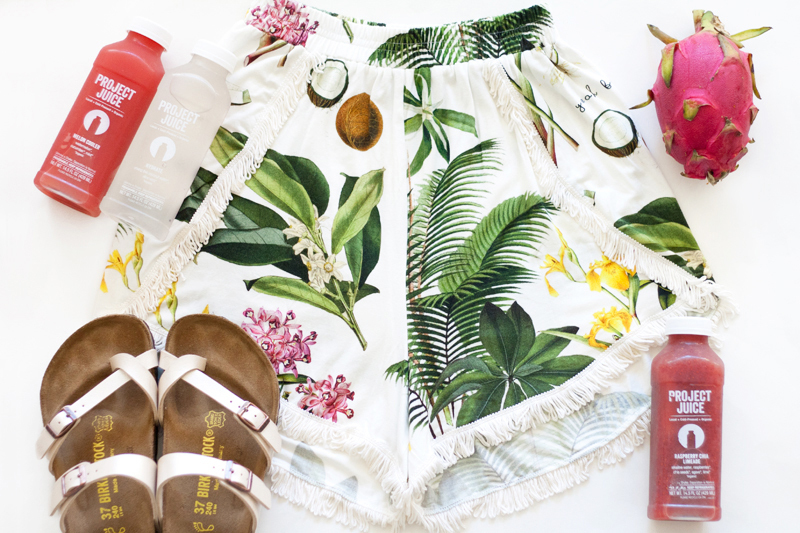 Pincolada jungle shorts c/o Yeah Bunny. Blush boxy knit top c/o Old Navy. Yves Saint Laurent SL 15 sunglasses by YSL c/o SmartBuyGlasses. Mayari flat sandals by Birkenstock c/o DNA Footwear. 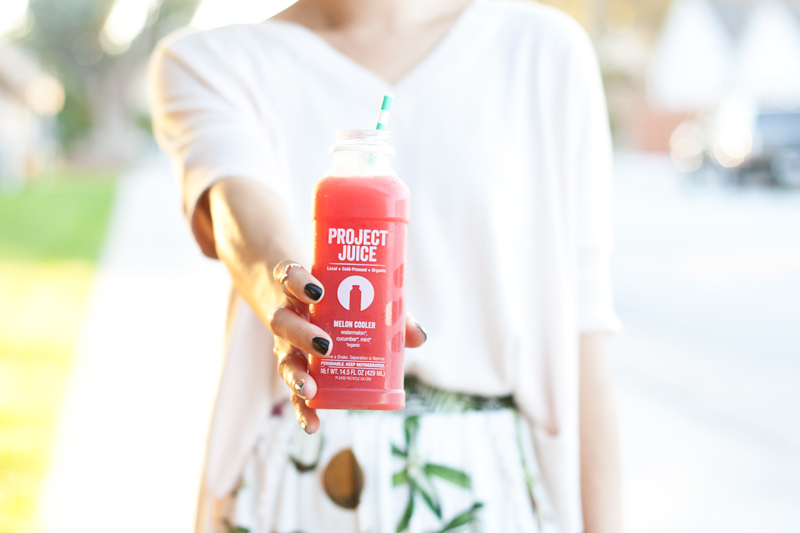 Personalized leather satchel c/o The Leather Satchel Co.
Melon Cooler, Raspberry Chia, and Hydrate c/o Project Juice. 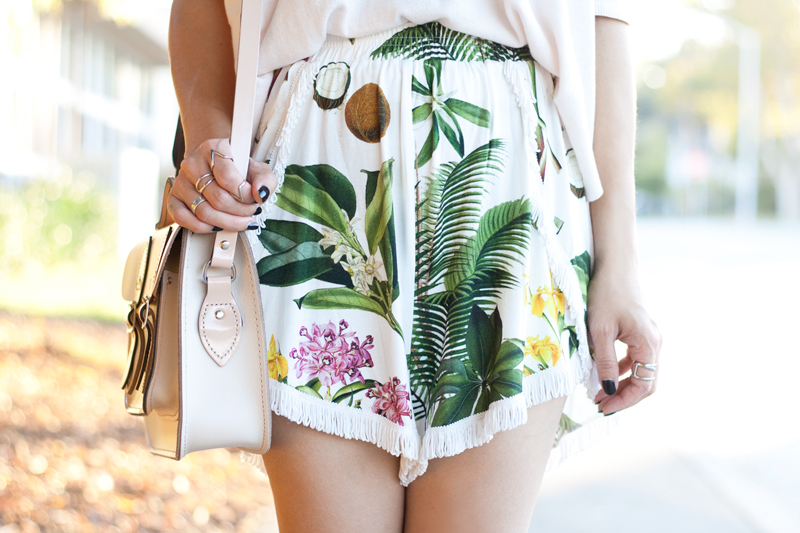 OMG I totally adore your outfit! <3 You look so bright and fresh!